A place for gentle conversation and reflections on civility, manners and etiquette around the world. The Japanese tea ceremony is a pleasure to behold. I discovered this while watching the elegant pageantry of this ancient ritual followed by a demonstration of Japanese dining and business etiquette practices. The event was both educational and entertaining. Participants were members of the Tokyo chapter of the Association of Image consultants International under the direction of Certified Image Master, Hitomi Ohmori. The demonstration provided a window into one of Japan’s oldest cultural practices which dates back to the 9th century when it was influenced by an already well-established practice in China. There are various styles of tea ceremony and in every instance it is a very special occasion in Japanese culture. Every human interaction is revered for its uniqueness and every moment is treasured. The tea ceremony is a social or religious event where aesthetics, form and ritual are of the essence. From the appearance of the food, utensils and decorations of the tea room (chashitsu), beauty is paramount. In fact, the Japanese tea ceremony has evolved to become an art form reflecting architecture, gardening and fine and applied arts. The art of tea or sado also embraces ceramics, textiles, flower arranging, fashion, and of course Japanese cuisine. Body language during the ceremony is completely choreographed and utensils, clothing and accessories are of exquisite beauty or museum quality. Food is artistically arranged in a chakai or chaji. Japanese believe that food must be pleasing to the eyes as it tasteful t to the mouth. Harmony is a key value in Japanese society as a whole and also an important part of the tea ceremony where many things, like dry sweets (higashi) and bitter green tea (matcha) complement each other. This is a sign of harmony. Only guests who are compatible are invited to tea which may last anywhere from three to five hours. During the tea ceremony at Conference, it was pointed out that the basic principles of Chado/Sado (the way of tea) are harmony, respect, purity and tranquility. It occurred to me as I watched this amazing ritual how much it embodied the principles of civility which are Respect, Restraint and Responsibility (3Rs). Harmony in business and personal relationships is at the heart of civility. When we are respectful, kind, considerate and ethical in our conduct and communication with each other and our clients, our business and personal relationships will indeed be smoother, peaceful and more harmonious. In the delicate arena of business and social interaction in today’s fast-paced, high tech, globalized world, the civility principles (3Rs) are valuable tools for building successful relationships. How sweet it is to be on the receiving end of a thoughtful act, regardless how big or small it may be. I am thrilled to share two recent personal experiences that demonstrate this behavior. Both events involve the company Volvo, maker of my personal car. They reflect the practice of civility which is all about a consistent commitment to being considerate, kind, generous, humble, respectful and personally responsible. This is part of the “Volvo Way” and embedded in their Code of Conduct Policy embraces the values of safety, human rights, environmental sensitivity and social justice. The first event occurred in my driveway where, one rainy morning, I discovered my car with a flat tire. The tow truck arrived within a few minutes after my call for help and the punctured tire was removed and placed in the trunk of the car. When I approached the car to thank the tow truck driver and give him a tip, I noticed the punctured tire in a large, white plastic bag. I asked the driver if he had brought the bag with him. He told me that Volvo provided the bag with the spare tire to keep it from soiling the car (or anything else). Genuinely surprised, I smiled and expressed my delight to the driver, thinking to myself “how thoughtful.” I have driven several cars over the past twenty years but had never seen a spare tire with a protective bag. Volvo’s decision to provide the protective plastic bag is a small thoughtful act. It made a positive impression that will be remembered. That’s civility. How sweet it is. My second experience occurred at the Volvo dealership in Alexandria, Virginia. What is normally a pleasant encounter became a memorable event because of a small, thoughtful act. I arrived there on a Friday evening to return my complimentary “loaner car” and anxious to go home in my own vehicle. Being careful not to leave anything behind, I picked up my pocket book, briefcase and a used toner cartridge (to be recycled). I waited in the service reception area for the cashier and the attendant to drive my car to the pickup area. While waiting, (without thinking), I held the toner cartridge against my off-white linen jacket. Before I got to the cashier, one of the service representatives came over to me and offered a white Volvo plastic bag to protect my jacket form a possible leak with the toner cartridge. Completely surprised but thankful, I smiled warmly and graciously accepted the bag, feeling a bit silly about being so careless. How thoughtful of this gentleman. Kudos for his grace and courage. How sweet it was to be considered in that small but meaningful way. The action of the service person demonstrates civility, but more specifically, the civil act of “paying attention” which is one of the twenty-five rules of considerate conduct discussed in Dr. P.M. Forni’s book, Choosing Civility (St. Martin’s Press, 2002). The act of paying attention can create a human moment which elevates the experience for those involved. In his book, Dr, Forni tells us that “without attention, no meaningful interaction is possible.” It means going beyond our typical robot-like actions and adding value to our engagement with others. I wrote about this in a blog post entitled, Paying Attention Humanizes Your Personal Brand. It appears on my blog at ImageandBrandBuilder and received many positive comments. What could have been an ordinary moment at the Volvo dealership, for me became a memorable one. By consistently practicing simple, every day acts like saying good morning, please and thank you, smiling, making eye contact, holding a door or showing humility, everyone can embrace civility and add more happiness, harmony, ease and comfort to their lives and those of others. Civility is not always easy. It takes practice, courage and sometimes, hard work. A small considerate act is a great place to start with bringing more civility to our workplace, home or community. How sweet it will be for someone. Do you sometimes wonder where has all the kindness, caring and considerate behaviour gone? Are you bothered by the lack of good manners, careless talk, and rudeness displayed by some of your co-employees and even managers? Thank God for the following initiatives by: 1) Dr. P.M. Forni of Johns Hopkins University, who co-founded the Civility Project and wrote two blockbuster books, Choosing Civility-the Twenty-Five Rules of Considerate Conduct and The Civility Solution- What to do When People are Rude; and 2) the Association of Image Consultants International (AICI), which adopted Dr. Forni’s Civility Code of Conduct and launched the Civility Counts Project in 2008 in order to spread civility worldwide through the Civility Ambassadors Program. The People Management Association of the Philippines (PMAP) was one of the first organizations in the country to endorse AICI’s International Civility Awareness Month (May). The PMAP Board, led by President Schubert Caesar “Bong” Austero, approved the resolution and signed our organization’s pledge to observe civility during the month of May. During PMAP’s Strategic Planning held in July at the PMAP Center, the Good Governance Committee endorsed civility as one of the core competencies to be included in our organization’s good governance proposal to Congress. Now, that’s what I call commitment. The essence of civility can be expressed in one simple sentence, “Treat others the way you want to be treated.”—which is the golden rule. Dr. Forni’s civility code of conduct is based on the three R’s: Respect, Restraint, and Responsibility. The world needs it now more than ever, because of all the rudeness going on around us. Stress – The demands on our time and attention have become overwhelming for most of us, and make us feel trapped. When more demands are placed on us, we tend to become short-tempered. Unhappiness – Most people managers might not realize that each employee comes to work with his or her personal concerns. When emotions are involved, it becomes very difficult for people to stay calm. Even an innocent remark can trigger a rude reaction from a troubled individual. Feeling Rushed – Deadlines, changing schedules, and demands from bosses, co-employees and clients can also become a big burden to sensitive people. For some, it could result in out of control behavior such as shouting. Guest Commentary by Yasmin Anderson-Smith on blog – Tuesday Morning Love. In a recent article titled, “The Art of Gratitude” Simon Jordan, host and presenter of One Planet One Place posed the following list of five simple questions that we can ask ourselves every day. He followed up with a challenge that we take a few minutes each morning to perform this task and for a few weeks, then observe the difference. Question 1: What am I happiest about at this moment? Question 2: What am I most proud of that I have achieved in my life so far? Question 3: Who are my friends? Question 4: Who loves me? Question 5: What can I do today to make it a more joyous one? This is a great way to focus our attention on that which is so often taken for granted – showing our appreciation. 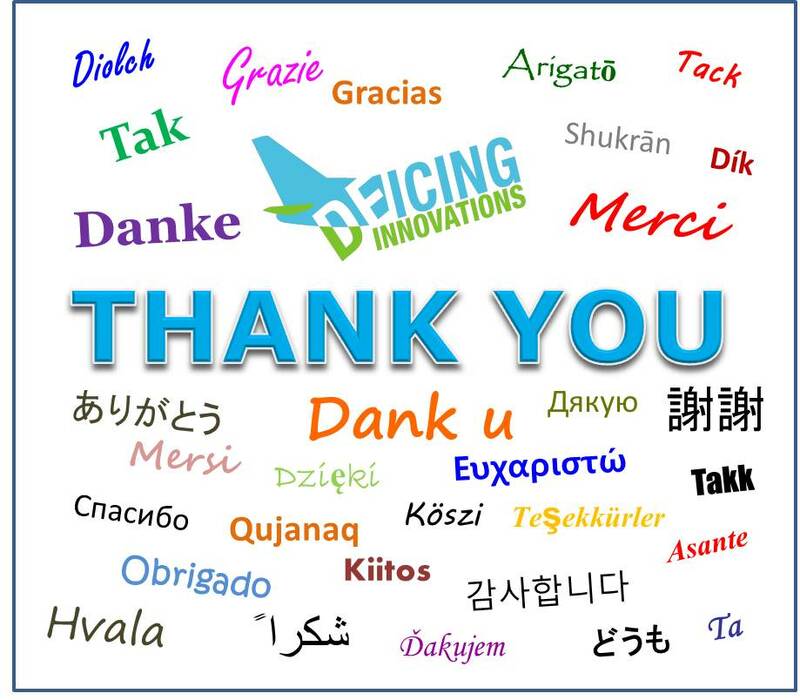 Whether it is the small act of saying the words, “Thank you” or a more elaborate expression of our gratitude, these acts of civility make a difference to the recipient and strengthen our character and connection with them. Acts of gratitude are important links connecting the bonds that build ad strengthen our relationships in family, business and community. They are an important part of the way we build trust and respect for others. These are essential building blocks of civility. When I receive a sincere thank you from a client, friend, colleague or family member, in response to work I completed or an act of kindness, not only does it make me feel good, it brings me closer to that person and our bond is strengthened. Similarly, showing my appreciation has its own “feel good” reward, amped by the knowledge that it makes the recipient happy. How many ways can we show gratitude? How many opportunities do we face each day to show our appreciation? How many chances do we miss each day to say “thank you” to the women serving in the cafeteria or restaurant, the bus or taxi cab driver, a neighbor or co-worker? Sometimes, even a smile, eye contact, hand gesture, head nod, compliment or brief hand-written note can convey our appreciation and spread a bit of goodness in someone’s world. None of these actions involve a cost yet bring a host of benefits like trust, respect, self-appreciation and sense of identity and belonging. Gratitude is civility dressed up in goodness. Question 6: Did someone’s action make me feel happy or warm my heart? Question 7: What are my blessings? Question 8: Who made a difference in my life today? Question 9: Who lifted me up or showed me that they care? Question 10: Who made life a little easier for me today? Ask yourself any or all of these five simple questions each day and follow up with an expression of gratitude. Your response can be a simple, no-cost act. It is important to be focused and sincere. The Smile, a well-known poem by Jill Wolf seems to be a fitting close to this post. Now that the weather is getting warmer, there are more reasons to emerge from hibernation!! Invitations to BBQ parties and other social events begin to fill our inbox. Party planning can be difficult because of the sheer amount of preparation that’s involved. Being mindful of what is expected as a guest or host creates a pleasant visit and happy memories. Follow these tips and at least you won’t be adding to the party planning stress of someone else. RSVP to your host promptly. Don’t bring other people or pets (unless it’s a service animal) if the invitation didn’t include them. Even if you get a better offer, nothing short of a medical emergency should deter you from attending. It’s a matter of your integrity. Never arrive without a gift whether a bottle of wine, flowers, a favorite CD. Never arrive early as the host may still be making preparations and your unexpected arrival will lead to more stress. Don’t be late either… no more than 10 minutes especially if it’s a dinner party. If you are arriving later, let the host know ahead of time to make sure this will not be a problem. Don’t overindulge in food or alcohol. Leave the host and the other guests with a good impression of you. Never over stay your welcome. You’ll know you stayed too long if the host changes into PJs. Offer to help serve or clean-up. Never forget to say Thank You when leaving. Follow-up with a thank you email if the party was casual or a hand-written, snail mail delivered card if the affair was more formal or you stayed overnight. Always greet your guests with a smile and a warm handshake. Keep your guest’s dietary needs in mind. If your guest is gluten-sensitive, have a couple of dishes reserved for him/her. They’ll appreciate your thoughtfulness. If someone brings dessert or wine, you aren’t required to serve these items if you planned to serve something different. Be polite and gracious. If any of your guests ignored the invitation and brought extra people or the family pooch, take a deep breath. Always offer something to drink or eat. Serve an abundance of non-alcoholic beverages. Be aware of your responsibility in terms of not letting anyone drink and drive. As host, plan not to drink very much yourself. Assign someone to mix drinks for the guests instead of letting people help themselves. Have plenty of protein snacks available and consider not serving any alcohol 1 hour or so before the party is scheduled to end. Always mingle… spend some time with each guest not just the ones you know better. Introduce guests to each other, if necessary. Hold your drink in the left hand so the right hand is free and dry for shaking hands. At the end of the evening, walk your guests to the door and thank them for coming. Making people feel comfortable and welcome are the touchstones of practicing good etiquette. Understanding what is expected of a good guest means more invitations to future events and parties. And as host, whether a guest is staying for an evening or a week, being aware of the needs of others will make the visit truly memorable for all of the right reasons. The image and business of sports was marred this week by the violent and fatal attack on a referee by a disgruntled team member during a soccer match in Salt Lake City, Utah. 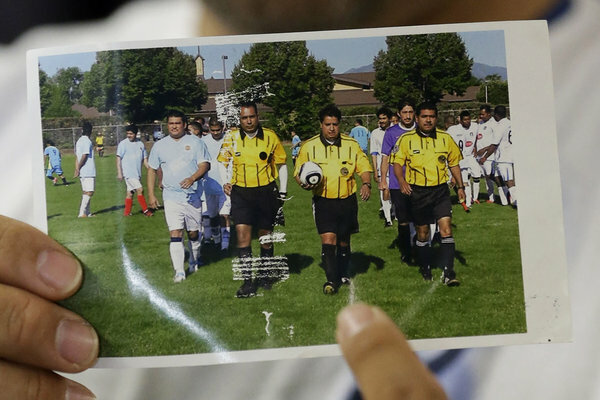 Collectively we mourn this horrific act of incivility and our hearts go out to the family, loved ones and friends of Ricardo Portillo, the 46-year-old referee. This unspeakable tragedy comes at a time when we celebrate May as Global Civility Awareness Month as designated by the Chases Calendar of Events. A time when when families, communities, business and nations can raise their level of attention to acting respectfully, using self control and demonstrating personal responsibility. 2. Is anybody going to be hurt by this? 3. Will I like having done this? As violence in sports continue to rise, coaches, schools, parents and youth organization leaders are faced with the challenge of how to teach children on and off the field about being respectful, kind and considerate and modeling this behavior. As a society we have to take this matter seriously. Lives depend on us doing just that. Girl Power - Yes I Can! What’s In It For Me – Can I Actually Profit From Embracing Civility In My Personal Brand? What’s in it for me? Can I Actually Profit From Embracing Civility in my Personal Brand? Exactly how does one embrace civility in their personal brand and profit from that experience? On more than one occasion, Lew Bayer has made the profound statement that “civility is its own reward”. This means that consistently practicing civility in our everyday world creates the reward of knowing you did the right thing because it was the right thing to do. This should make us feel good about ourselves and others and confident to repeat that action in the future. There can be spin-off rewards that accrue when we choose to be civil to others. These may be spiritual, emotional and even financial as we fortify our personal brand with civility. Apply any or all of the items in the following list of civility boosters may be applied to your business or personal relationships. Try practicing two or three of these steps consistently for a month and watch the results. Share your results with me here or email me at yasmin@kymsimage.com. Director, International Image Institute, Inc.
Out of nowhere, your client loses control and makes a verbally abusive comment that embarrasses you in front of colleagues during a dinner business meeting. A colleague who fails to give you credit for your work. A client is always late for meetings. These and other acts of incivility can ruin or compromise business relationships, create undue frustration or loss of income. The causes could be misunderstanding of roles and expectations or false assumptions about the operating principles and rules of conduct for doing business. Recently, while surfing the internet, I came across a website that listed the business owner’s values and operating principles on the homepage. The list mentioned respect for diversity, a commitment to understanding client objectives and helping clients achieve their highest potential. For me, the list embodied the spirit of civility and was a clear declaration of the owner’s guiding principles for doing business. In my interview with Karen Brunger, Canadian based image professional and master trainer, we discuss why she developed a code of conduct for her business (which she calls a Creed) and made it part of her company’s operating procedures. Karen is Director of the International Image Institute in Ontario, Canada and provides training and resources to image consultants worldwide. Karen has worked with hundreds of professionals and companies, including Fortune 500 corporations. Yasmin: What does civility mean to you? Karen: Civility to me is not only treating others with respect, courtesy and honour, but being respectful, courteous, and honourable. I believe that as image consultants we can endeavour to achieve the highest degree of civility. Yasmin: What is the main objective of your company Creed? Karen: The main objective of the Creed is to provide focus and guidelines for how we conduct our professional relationships, and beyond that how to live in the process of self-actualizing. Yasmin: When did you first develop the Creed? Karen: It was developed within the first 5 years of my business, and came about as a result of a mastermind group. Even though at the time I was the only one in my business, the Creed became part of my Operations Manual. Yasmin: Why did you develop the Creed for your company? Karen: The importance of having a creed became apparent to me after working with one of my clients – a company that seemed to come from lower levels of ethics, integrity, honesty, accountability, cooperation and customer service, and higher levels of fear, judgment and control. I thought that if they held themselves to a higher standard of behaviour, they would not only be much easier to work with, but most likely attract more clients, be more productive and prosperous, and experience higher satisfaction and joy. It was very easy for me to create my Creed as a result of my experience of them! Yasmin: What has been the response from your clients? Karen: As the Creed is foremost in my business, it is always our intention to come from use the courtesy and respect approach. It is usual for clients to report that they appreciate our approachability, accessibility, helpfulness, friendliness and warmth. Some have been outright amazed at how giving we are. And certainly some are inspired to become clients or continue this relationship because of it. One of my favourite quotes is “however we act most often is what we tend to become.” Civility becomes a natural way of being – not something we need to put on as we would a different outfit. Our attitude is that we are grateful to our clients and will do whatever we can to serve. When we love our clients, they love us back. Yasmin: Has using the Creed benefited your business? Karen: Our business is a great place to work! The energy is high, positive, fun and productive. We all look forward to being together; everyone is inspired to think of new and better ways to enhance our services, products and business systems. We value each other, and everyone we come in contact with. We all have different personalities and strengths, and we value and honour those differences. We celebrate all of our successes, which helps attract more success. I feel blessed that I have the perfect team working with me. As part of my mission is to do the best I can for the image industry, I do whatever I can to enable the success of other image consultants. I hold my peers and colleagues in high esteem, and the respect I have for them has resulted in sharing, cooperative and mutually beneficial relationships. We also benefit from respectful and valued relationships with our suppliers. We often appreciate discounts, quality supplies and efficient delivery time! Yasmin: Would you recommend that other business owners use a creed or civility code of conduct for their business? Karen: Absolutely! Even if you are the only one in your company, it can help you get clarity on how you conduct your relationships, and set a standard of conduct that can allow you to take your relationships to the highest level. A company creed or code of conduct can definitely set the desired tone for business relationships while affirming a commitment to embracing civility, ethics and manners as the standard for all human interactions, whether in-person or via electronic communication. This would definitely raise the bar to a higher level of excellence in performance. An interview with Karen Brunger, BHEc, AICI CIP, Director of International Image Institute, Inc.
Yasmin: Why did you develop the Creed? Karen: As the Creed is foremost in my business, it is always our intention to come from use the courtesy and respect approach. It is usual for clients to report that they appreciate our approachability, accessibility, helpfulness, friendliness and warmth. Some have been outright amazed at how giving we are. And certainly some are inspired to become clients or continue this relationship because of it. One of my favourite quotes is “however we act most often is what we tend to become.” Civility becomes a natural way of being – not something we need to put on as we would a different outfit. Our attitude is that we are grateful to our clients and will do whatever we can to serve. When we love our clients, they love us back. The President did not mention the word civility in his State of the Union speech. Mr. Obama did say “we do big things” and that “the future is ours to decide, ours to define and ours to win”. He also spoke about finding common ground, taking responsibility and putting aside our differences and moving forward for the good of the country. Civility is a choice; it does not happen by chance. It is ours to decide how it will define America’s future. The President noted that American’s economic growth is inextricably linked to our competitiveness in the global community. Competitiveness is tied to productivity and performance and numerous studies have shown that incivility is a key factor in undermining employee performance in the workplace. America spends about $300 Billion on job stress due in part to incivility. Civility is good for business and good for solidifying America’s place in the global economy. Your Image Matters - Sharpen it! Contact Yasmin at or 866-247-4079. Check out Yasmin’s latest book and articles on civility, image, branding and youth empowerment.